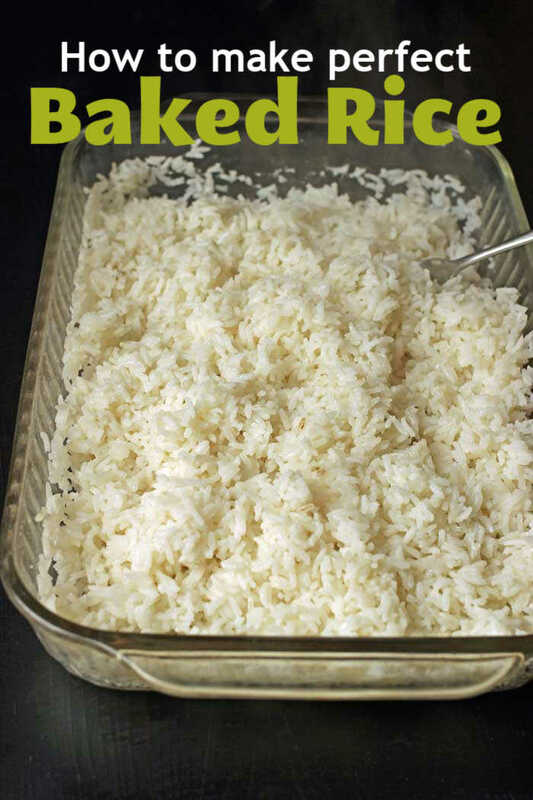 Learn to bake rice in the oven so that you have a quick and easy side dish without a lot of hassle. 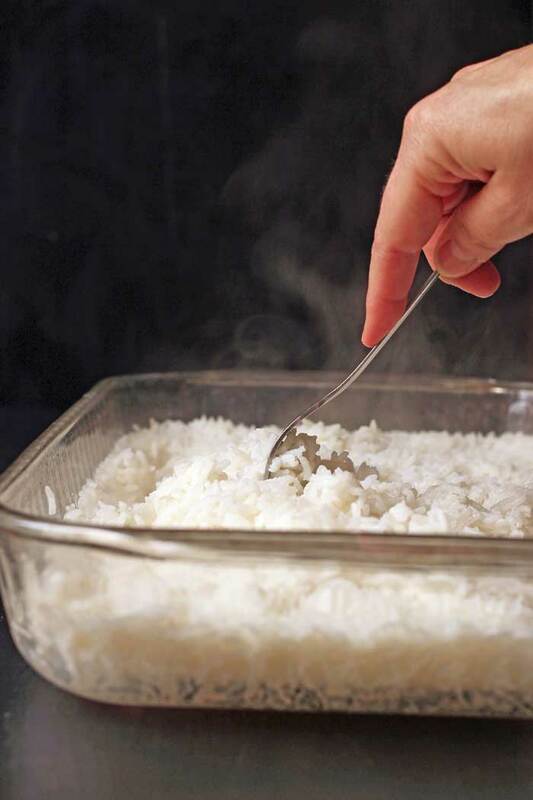 This method produces perfect rice every time! My rice never turns out. I don’t know what it is, but I just can’t make good rice. Have you ever said those words? Believe me, you are not alone. Rice is the one good cheap eat that I hear folks struggle with continuously. What is it about rice that makes it such a stumbling block to home cooks? 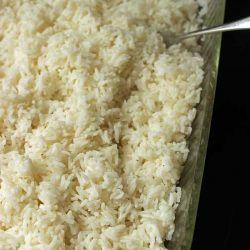 Rice is a delicious, versatile, and inexpensive side dish that is embraced by cultures the world over. This humble grain is featured in Mexican food, Italian risotto, Asian bowls, Catalan paella, Cajun Jambalaya, French pilafs, and Mediterranean dishes. It’s the base of many a curry or Chicken Tikka Masala. Since rice is featured in so many dishes and serves as a supporting side to so many delicious things, it’s in your best interests to learn how to make good rice. One fool proof method is to bake rice in the oven. How to make easy baked rice? 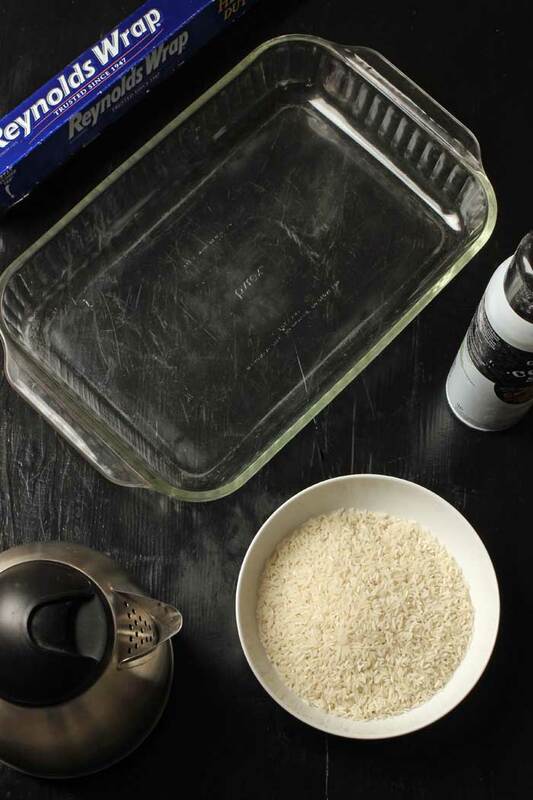 Baking rice in the oven requires three ingredients and about 30 minutes of your time. It comes out perfectly almost every time, and takes only one dish! Any recipe that allows you to cook and serve in the same vessel is a winner in my book. Grease a baking dish and boil some water. Preheat the oven to 425 degrees. Put uncooked rice and salt in the prepared pan. Cover the pan tightly with heavy-duty aluminum foil. How should you buy rice? If you love rice in a variety of dishes and flavor profiles, then it’s in your best interests to buy it in bulk. 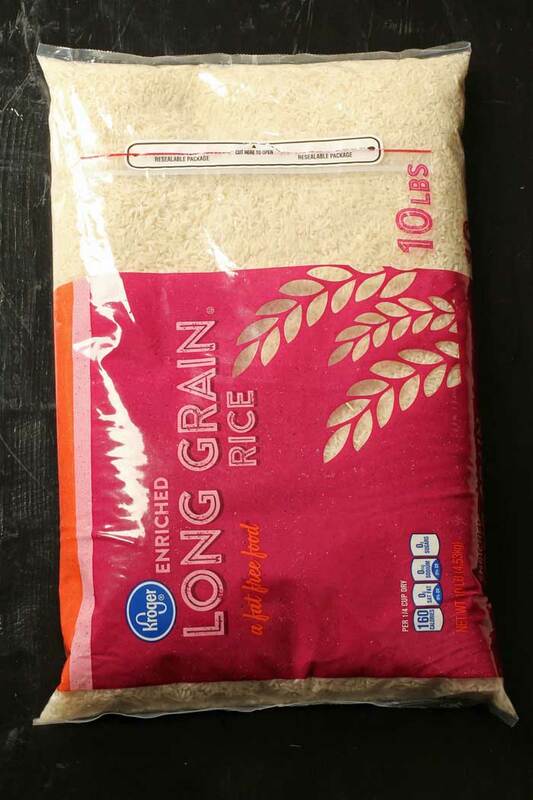 This 10-pound bag of rice cost me $3.52 at my local Ralphs. That’s about 35 cents/pound. Shop around and consider keeping track of prices at the stores you normally shop at. Make a habit to buy rice at the store with the lowest unit rice. At my target price, a batch of baked rice costs me about 35 cents! How should you store rice? Store rice in an airtight container in a cool, dry place. I place the bags of rice in a large food service container in my pantry. Many white rices can be stored indefinitely at room temperature, however, brown rice has a shorter shelf life than white rice, about 3 to 6 months at room temperature. You can extend its shelf life by storing it in the refrigerator or freezer. You’ll know when brown rice is no longer good when it has a rancid, off odor. It’s important to keep rice free of contaminants and bugs, so make sure you seal the container after each use. A pound of uncooked rice has about 2 1/2 cups. When cooked, this will equal about 7 cups. How much rice do you need per serving? How much rice to make for your table will really depend on the eating habits of your dinner companions. For a family of 6, I recommend cooking 2 cups of rice which will result in about 6 cups cooked, or 1 cup of rice per person. Adjust how much you cook for the folks at your table. Can I put uncooked rice in a casserole? 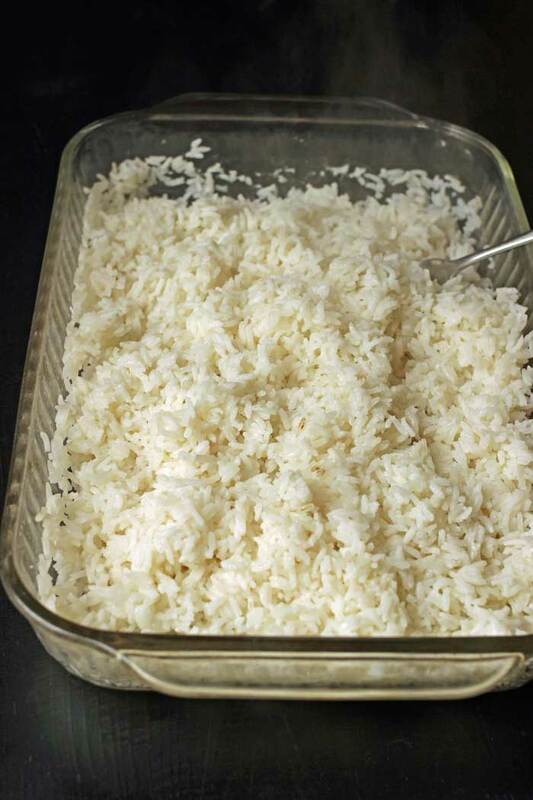 Rice will cook in a casserole if there is enough liquid. 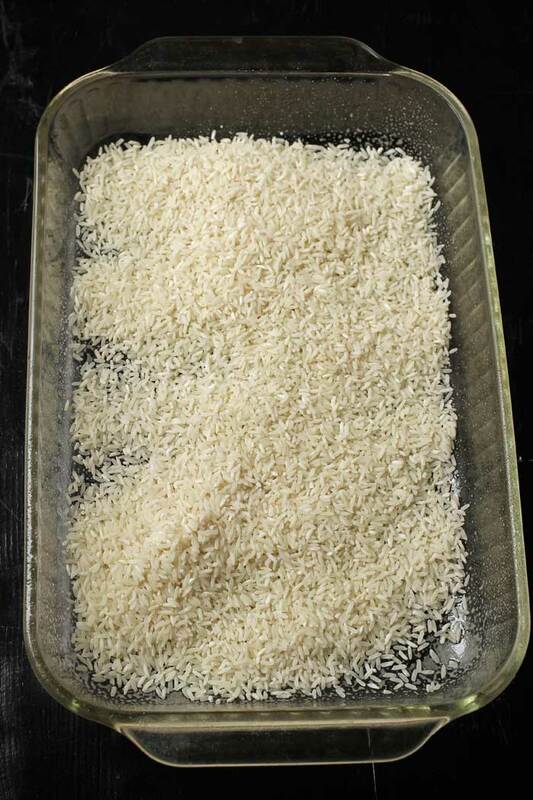 If you’re experimenting with a casserole recipe, you’ll need to account for enough liquid to cook the rice (about 2x liquid for each amount of rice) and enough “sauce” to keep your casserole from getting dry. One of our favorite rice casseroles is this Chicken and Wild Rice Bake. What can you do with leftover baked rice? Provided that you haven’t overcooked your rice or left it out too long to dry out, you can package the leftovers and reheat them within the next four days. Cold, dry rice is perfect for Vegetable Fried Rice! I regularly make extra so that I can make fried rice in the days to come. Yes, you can freeze cooked rice. Just package it in an airtight container, chill completely in the refrigerator, and then freeze. To reheat, thaw and warm the rice. Sometimes, after freezing the rice is a bit dryer than it was beforehand. This makes it ideal for adding to soups or using in fried rice. Baked Rice is a no-brainer side dish to prepare. It takes very little effort and can bake alongside other dishes in the oven, making dinner prep a snap. I particularly like to bake rice in the oven alongside a pan of Hands-Free Cashew Chicken. What do you need to make baked rice? These are the kitchen tools you need. Pretty short list! Preheat the oven to 425°. Grease a 9×13-inch baking dish with nonstick cooking spray. Place the rice and ½ teaspoon salt in the bottom of the pan. Pour the boiling water into the pan and cover it right away with heavy-duty aluminum foil. Seal the edges tightly. Place the pan in the oven and bake for 20 minutes. 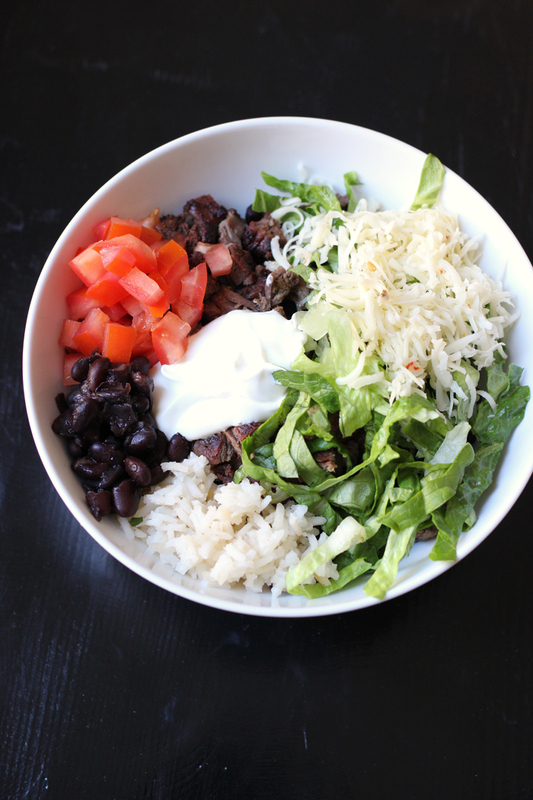 Fluff the rice with a fork and serve. You can make this recipe with brown rice, however you will need to increase the baking time to 45 minutes. Leftover rice can be refrigerated for up to 4 days. Store cooked rice in the freezer for longer storage. Oh my! This recipe is fantastic! Other than using a microwave and instant rice, I’ve never had success making rice. These directions were so easy to follow and my rice turned out fantastic. Who knew it was so simple? Thanks so much for sharing! Awesome! Now you are a rice-making winner! This worked great! It was perfect. I have made baked rice before, Mexican and brown, but always cooked them at 350 degrees. I think the higher temperature in your recipe works better. Can’t wait to try brown rice next! This would come in super handy when you have company – one less thing to worry about! Thank you so much for this recipe and for all the others that you share with us. They are appreciated!!! Yay! So glad it was a win for you! And yes, it’s fantastic for hands-free dinners. 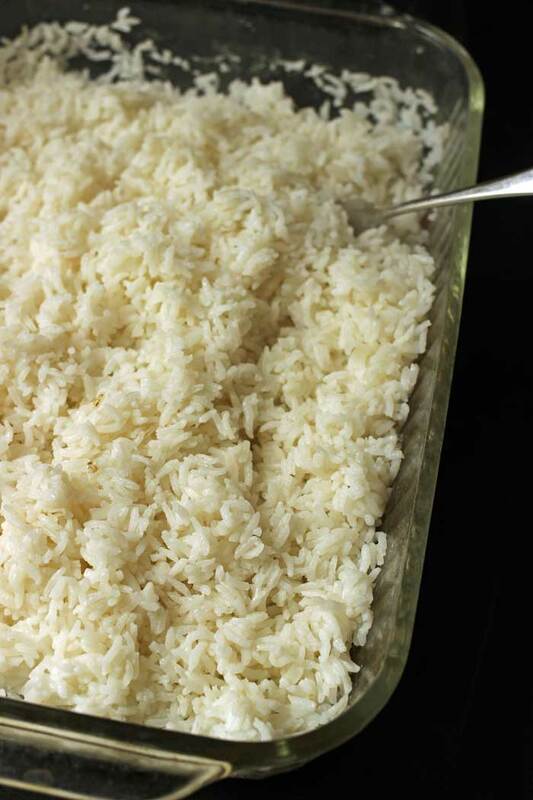 I’ve made this rice many times – such an easy way to get perfect rice! My rice cooker died a couple years ago, but I do not miss it at all now that I have learned this method. 20 minutes is usually just right; sometimes there’s still a little bit of water remaining in the bottom of the pan – I just pop it back into the oven for a couple minutes for the rice to absorb the rest of the water and it’s fine. So I used the Jasmine rice that you get from Costco, with the elephant on it:), and I made 3 cups of rice, so double the water, same salt, foiled it up tight, and baked for 22 mins….at 450 ….turned out absolutely perfect! No sticking or burning on the bottom of the pan….magic! Thanks! My kiddos like the baked rice over the stove top, too! I am in Colorado, making meals at altitude. I needed to add a little more time to the recipe, but the rice was the best we’ve had! Thanks, Jessica, for helping this part of our “Thai Thursdays” be a success!